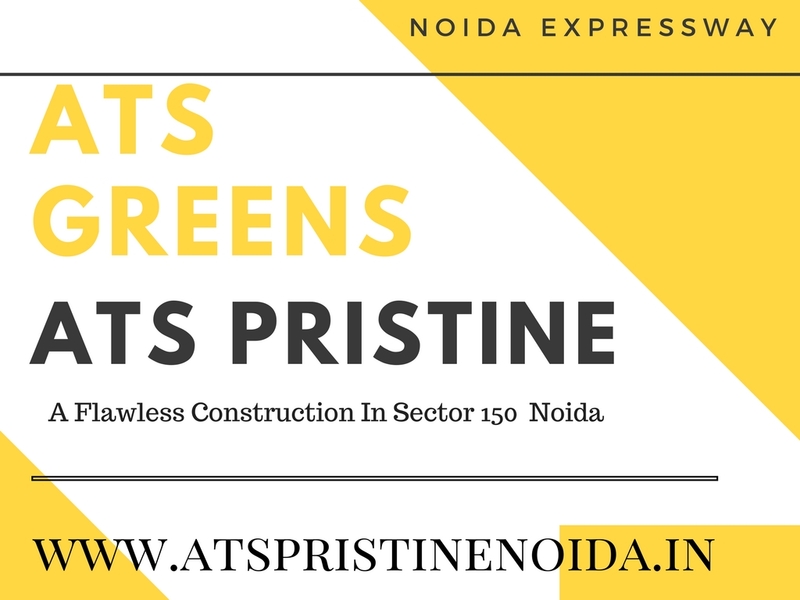 ATS Pristine: Luxurious 3/4 BHK residential apartments at Sector 150 Noida! Homeowners looking for a sophisticated home in Noida can have a look at ATS Pristine. The residential complex has been developed in Noida, offering quality apartments to the residents. The importance of Noida from the commercial perspective has been increasing over the years. If you are willing to buy a home with a good mix of luxury and elegance, you can go for these homes. Noida has been witnessing a massive surge in purchases of residential property over the last decade. The proximity to Delhi and the increase in commercial activities in the area are attracting homeowners from various parts of the country. A number of blue-chip companies are coming up in Noida. Several MNCs are also expanding to the city. If you are interested in buying these apartments, this is the right time to make the purchase. Have a look at the ATS Pristine Price List to get a comprehensive idea of the rates of property here. These prices are likely to escalate in the coming months. If you are ready to embrace a quality home, you can go for these apartments. If you love green living facilities, you will find the homes in ATS Pristine Noida ideal for you. The residential complex comes with extensive green zones for the residents. You can enjoy your time in the open green areas, close to nature. The residents can also spend their time in the walkways, or in the gardens, or simply sit in their balconies, absorbing the beauty of greenery around their homes. The residential complex has been developed over 18 acres of land. The apartments are elegant and come with sophisticated furnishings in the interiors. You will love the floor plan in the complex, which leaves a wide area for public use. The apartments are loaded with amenities and luxury-seekers will find a good time here. You will find a good living infrastructure here, with cosmopolitan families around. The strategic location of the residential complex is one of the key reasons behind its extensive popularity. The residents can get across to the important places through the dense network of roadways. The commercial zones in Noida can be easily reached from the residential complex. Besides, you can get across to the airport in Delhi in quick time. The transportation system in the city is well-developed. If you are looking for 4 BHK Flats in Sector 150, you can go to these apartments. The places of entertainment are also located close to the complex. Several shopping malls, multiplexes, bars, and restaurants are located close to the residential complex. The educational and healthcare infrastructures in the area are well-developed. A number of prominent schools and hospitals are located close to the area. You can get across to all these places with ease. The residential complex comes with a wide range of luxury amenities. Particularly, health and fitness enthusiasts will find an engaging time in the complex. The estate comes with swimming pool, gym, various indoor and outdoor games and much more. You can get the 3 BHK Flats in Sector 150 and live up to your housing dreams. The residents can enjoy quality time in the clubhouse in the complex, socializing with others. The children can play in the dedicated play areas in the estate. The residents can also arrange for meetings and conferences in the complex. Besides, you can enjoy your time in the jogging track in the complex. You will enjoy all the exotic amenities that you crave for here. The residential complex remains under a high-security scanner. The security system in the estate is of top grade, and the CCTV cameras keep an eye on the areas of public use in the complex. The residents can enjoy an uninterrupted power and water supply in their apartments when they move to the complex. Investors and homeowners looking forward to buying Property in Noida can get these apartments. Enjoy the classy homes with green living facilities, while you reside close to the commercial zones in Noida. Located at Sector-150, Noida Expressway, Noida. 18 kms from Mahamaya flyover . 20 kms. From Sector-18, Noida. 3 Kms. From Pari Chowk. 16 kms. From amity university. 10 mins from Noida City Centre metro station.